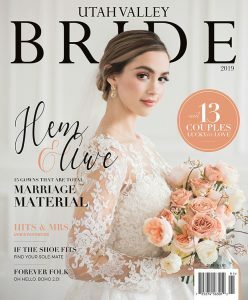 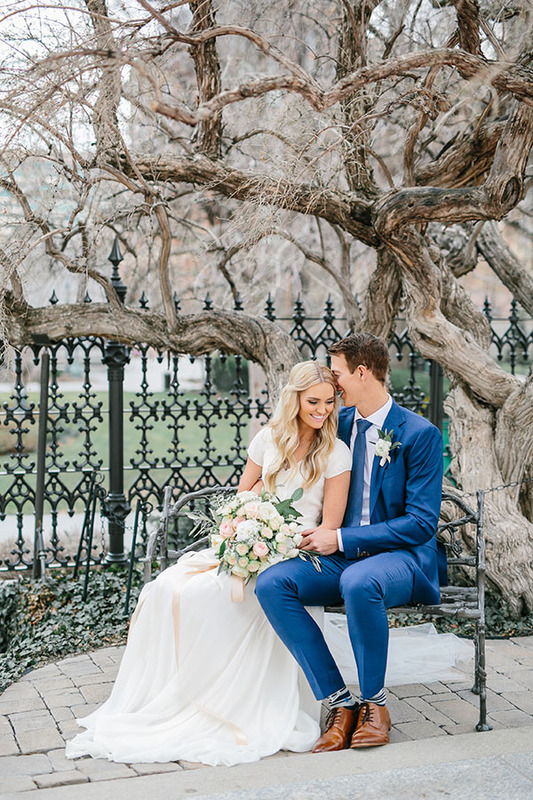 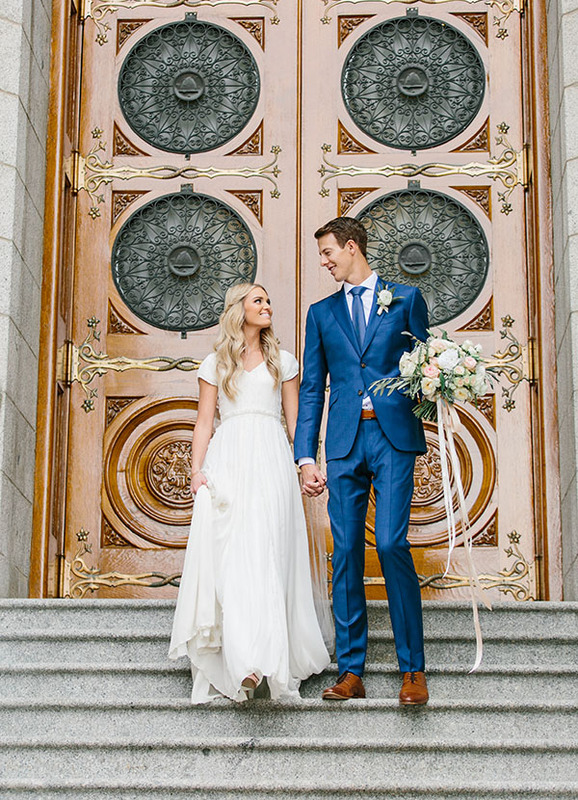 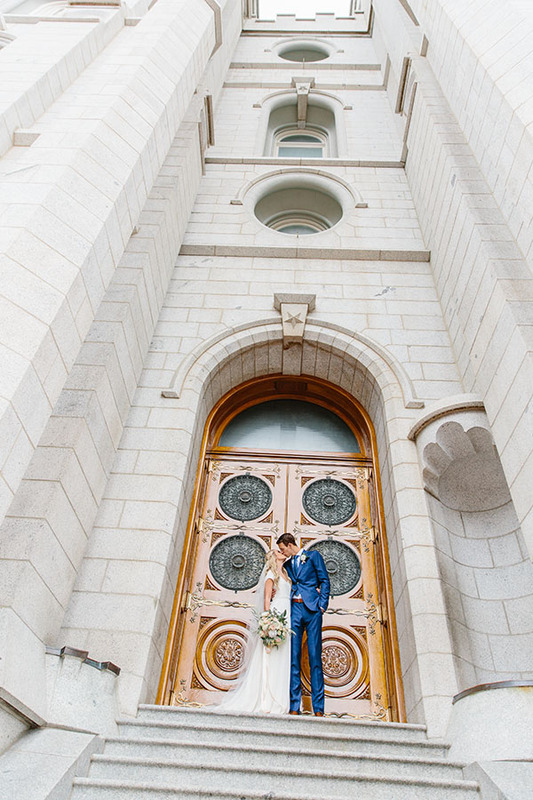 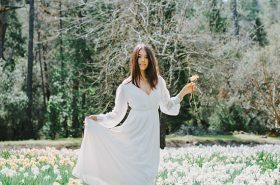 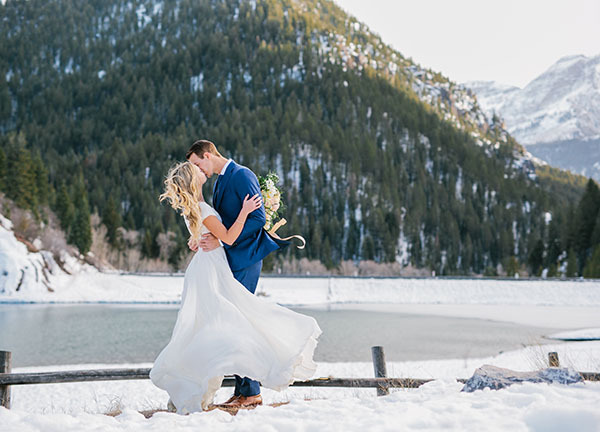 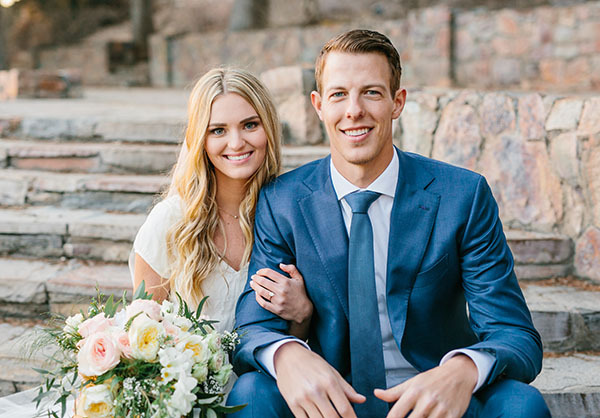 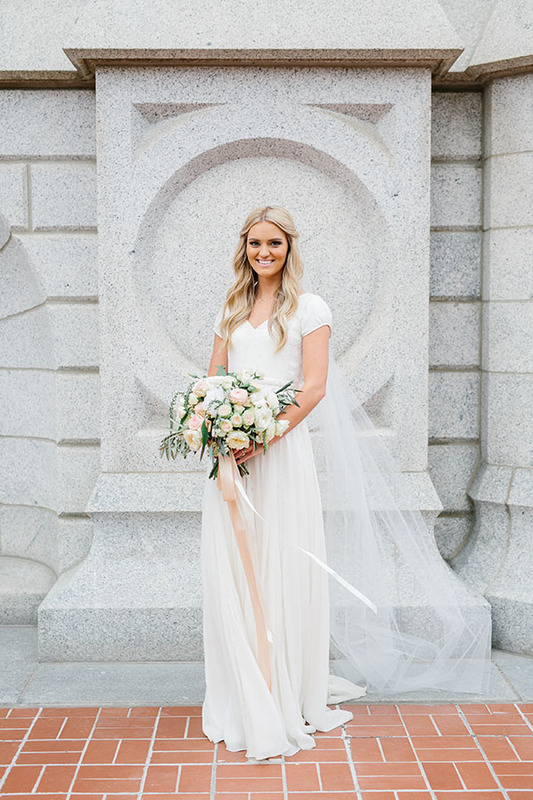 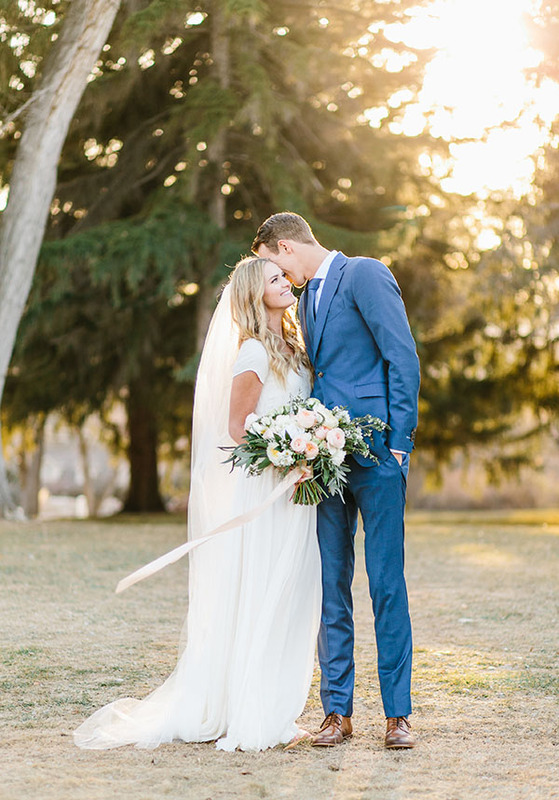 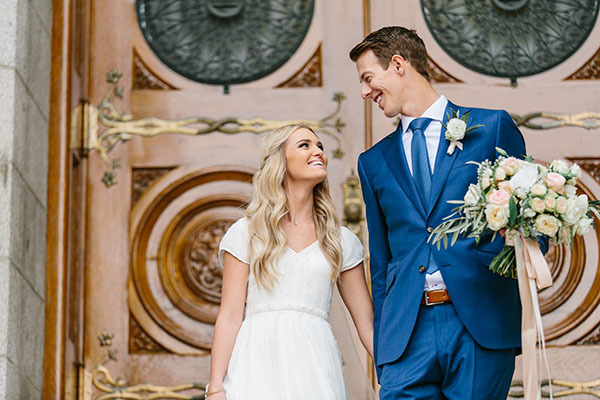 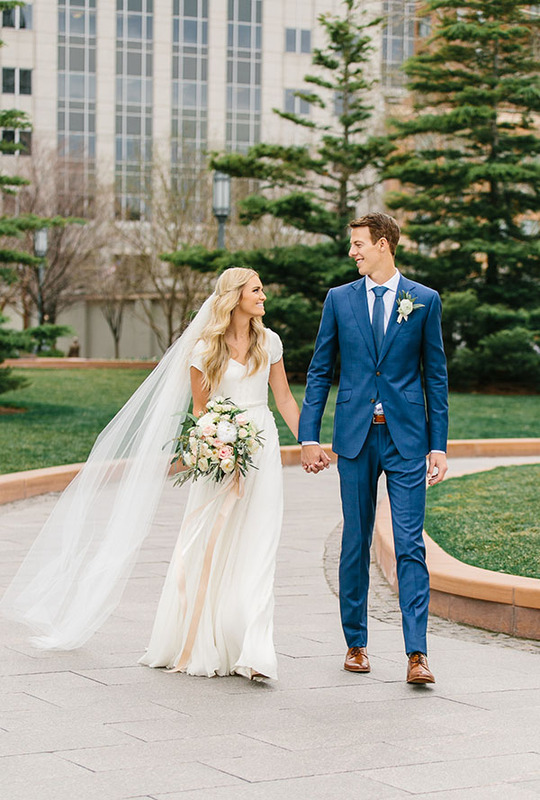 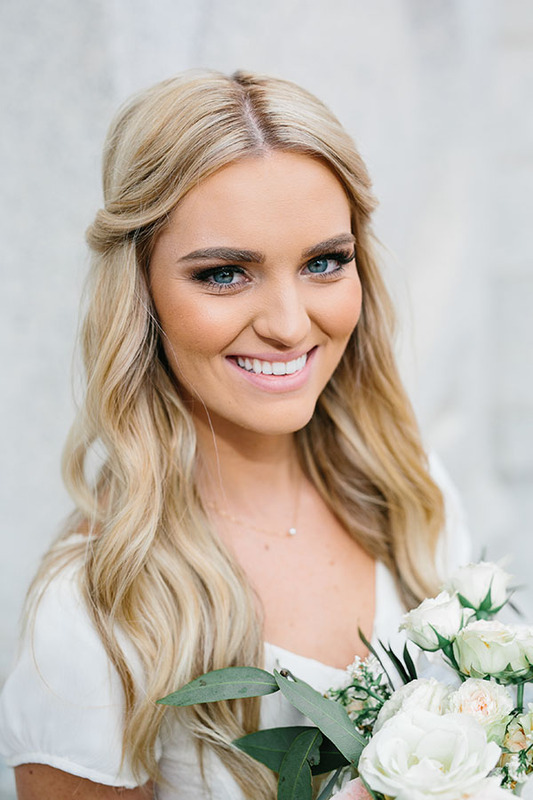 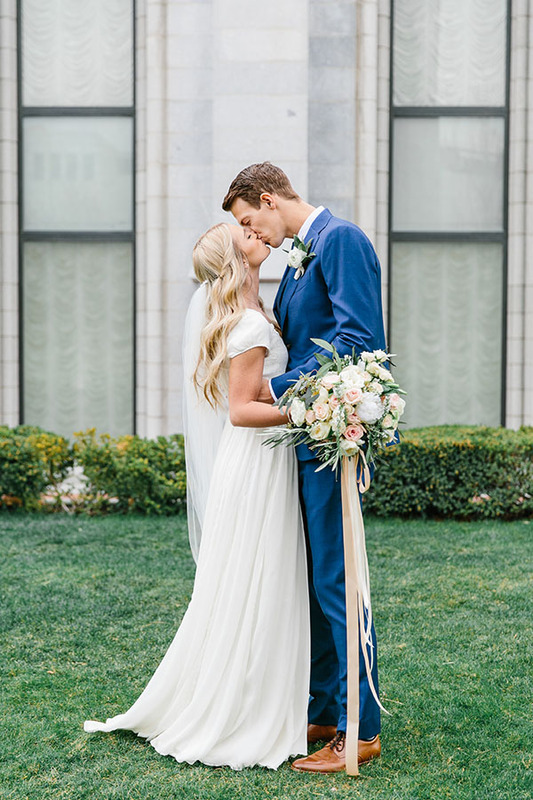 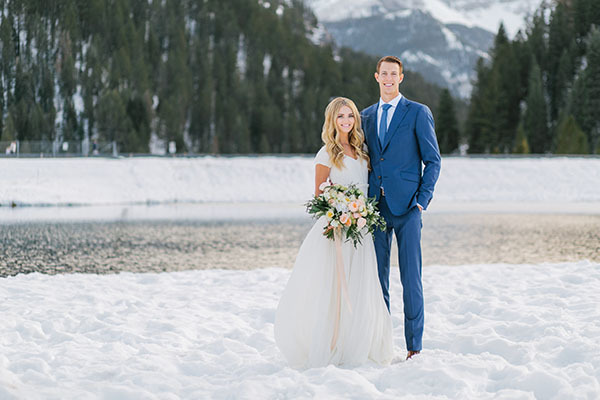 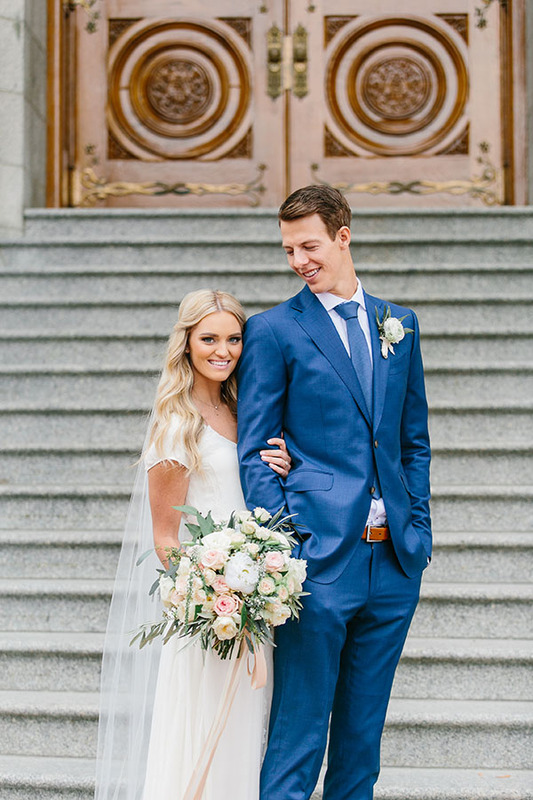 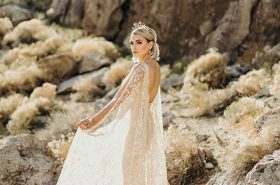 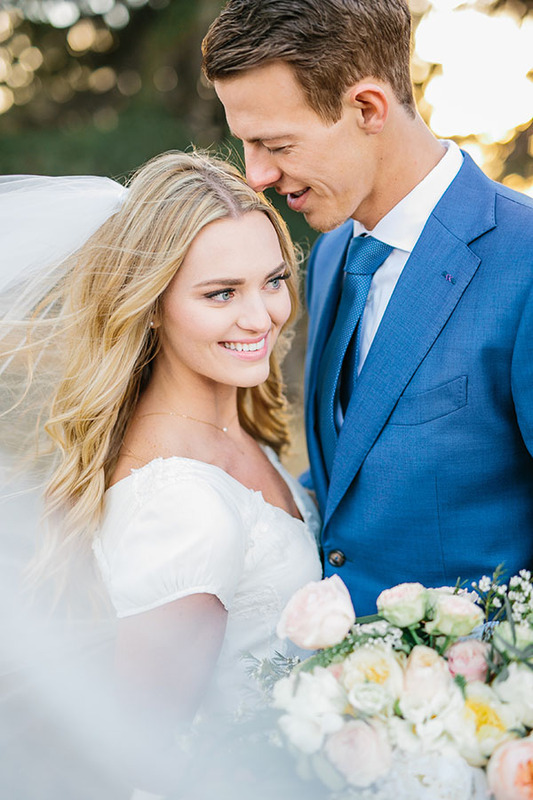 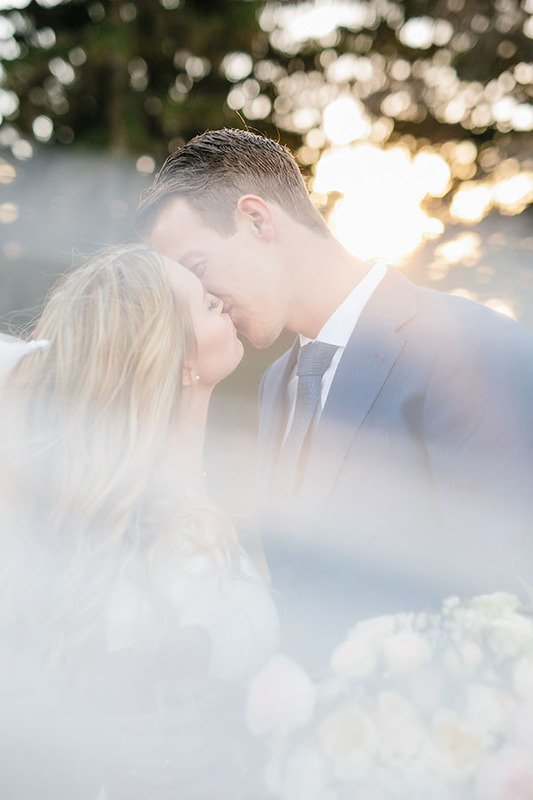 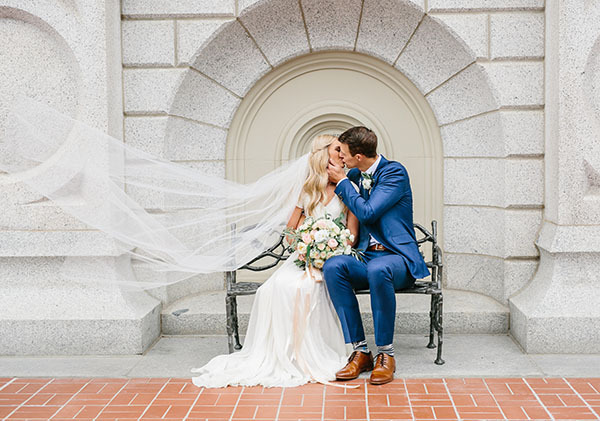 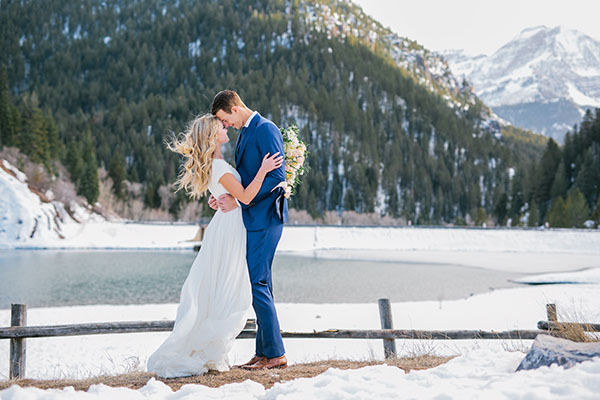 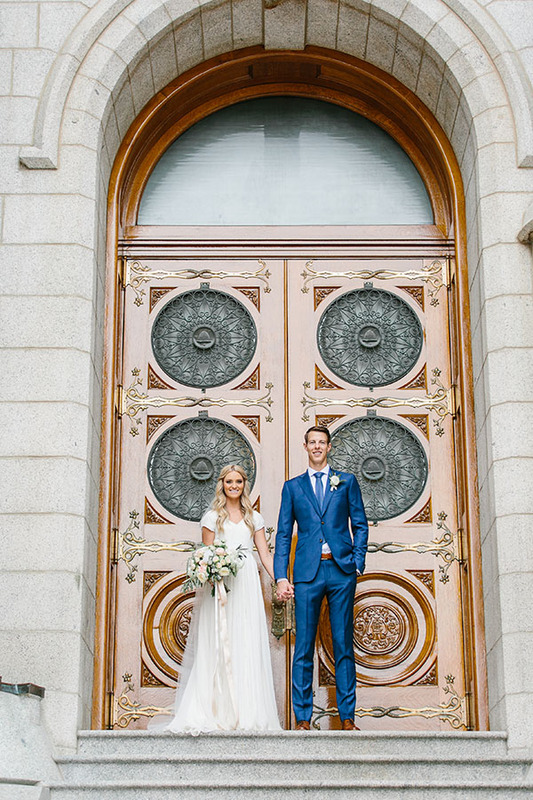 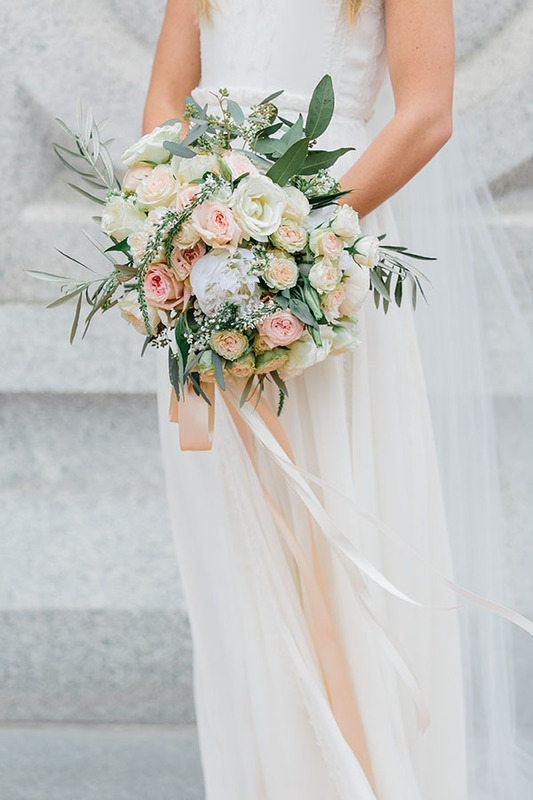 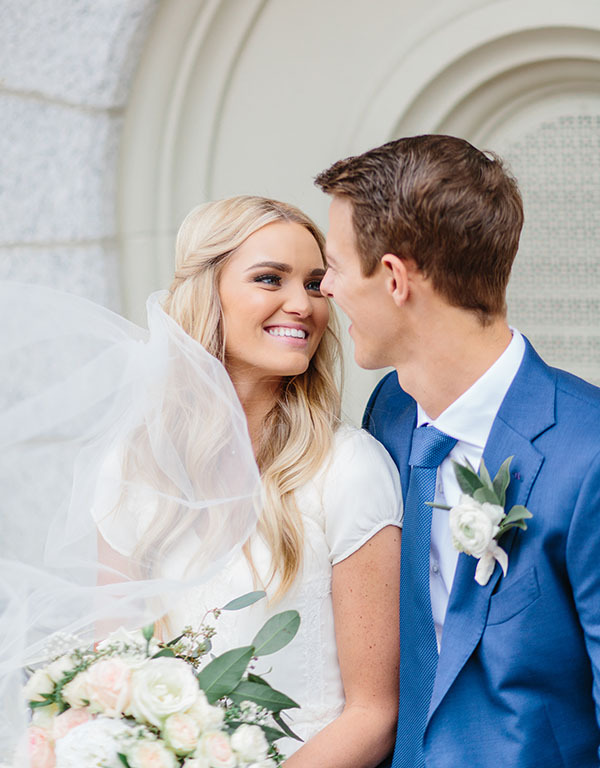 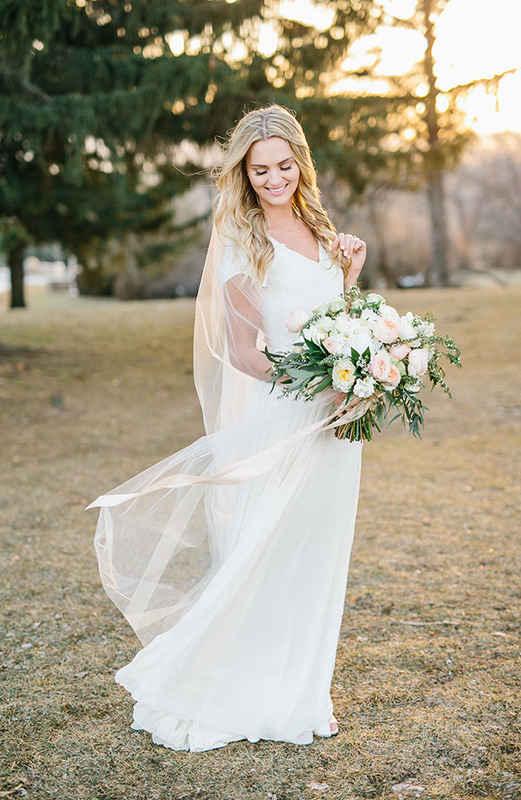 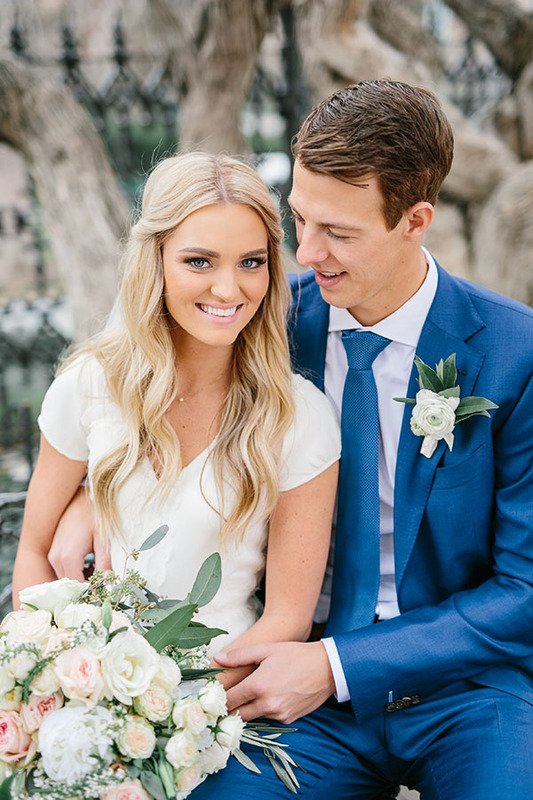 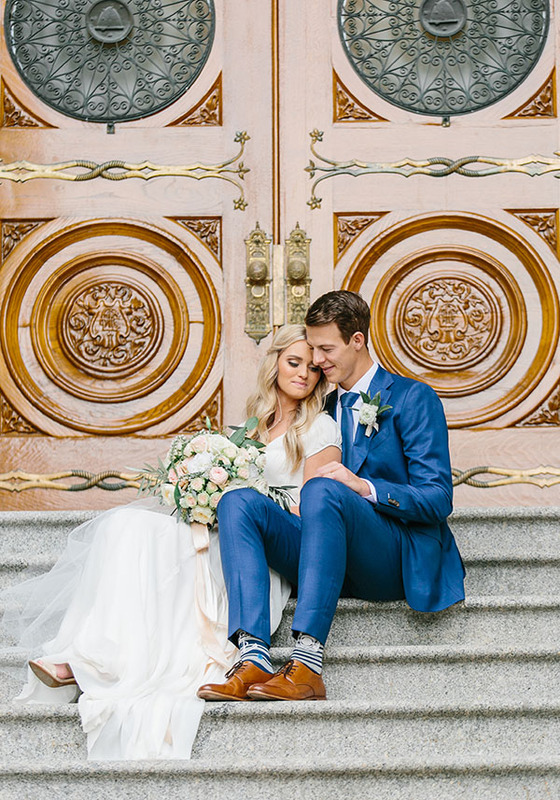 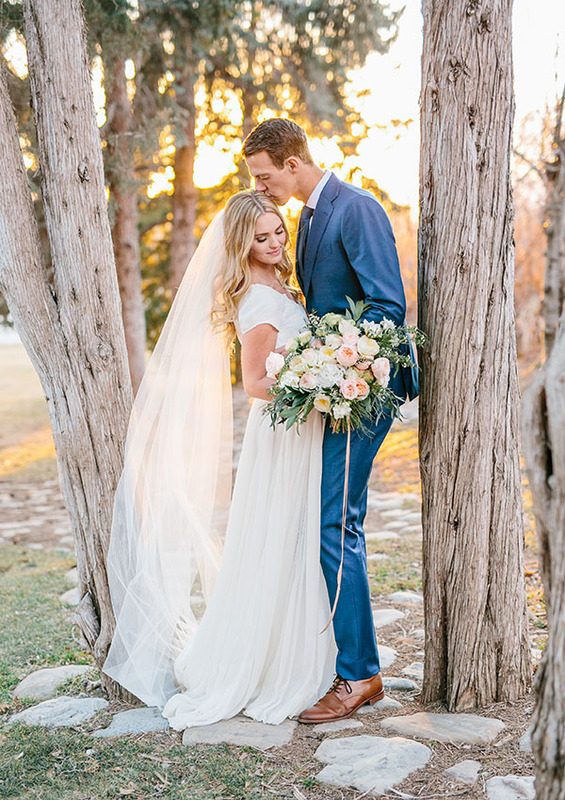 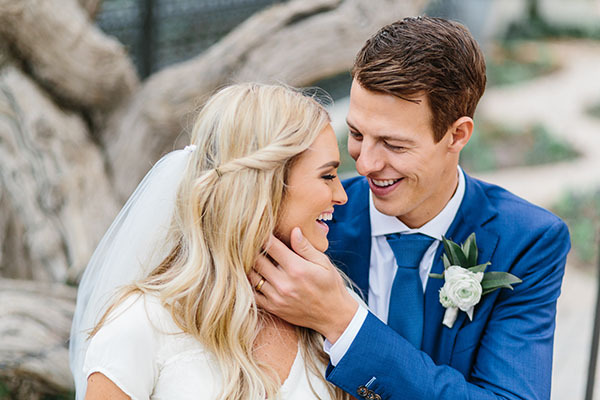 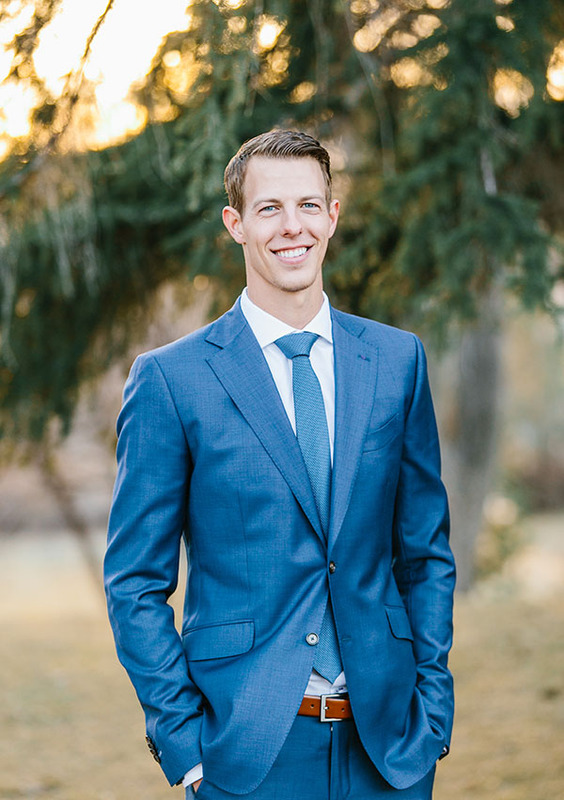 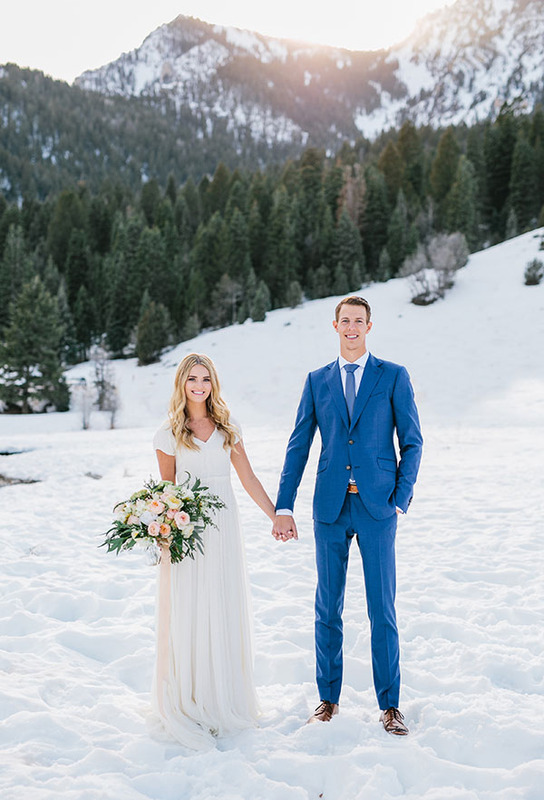 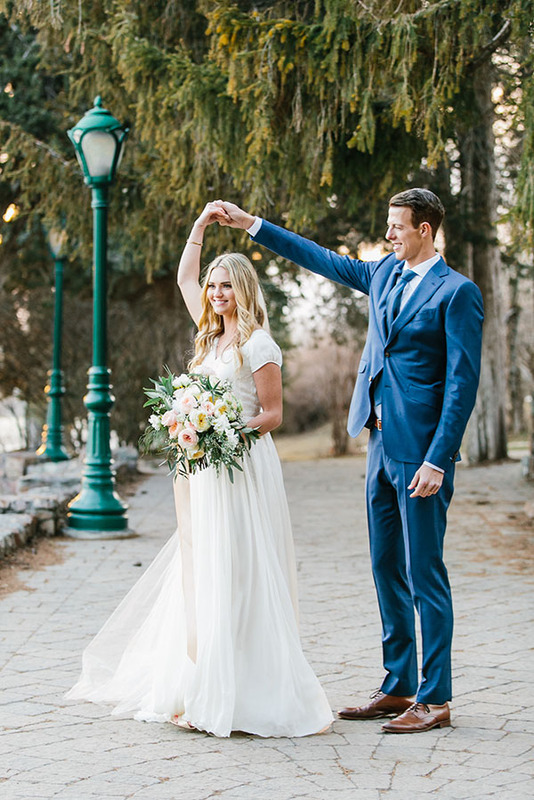 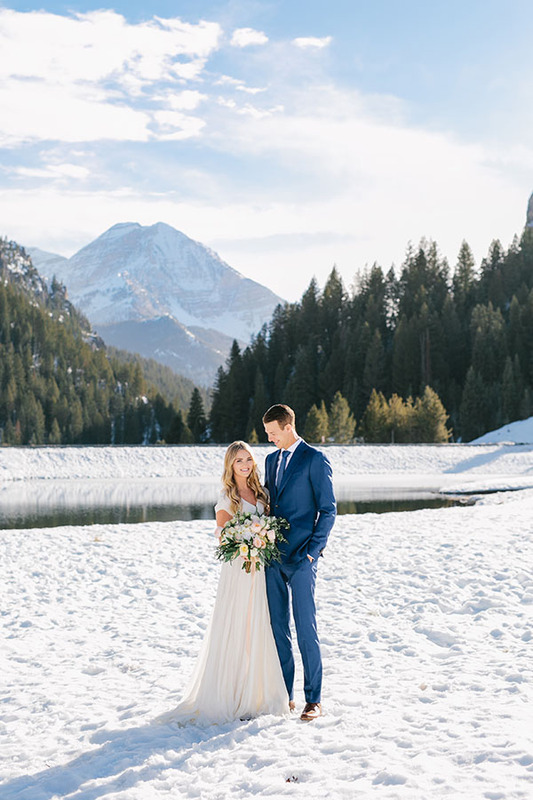 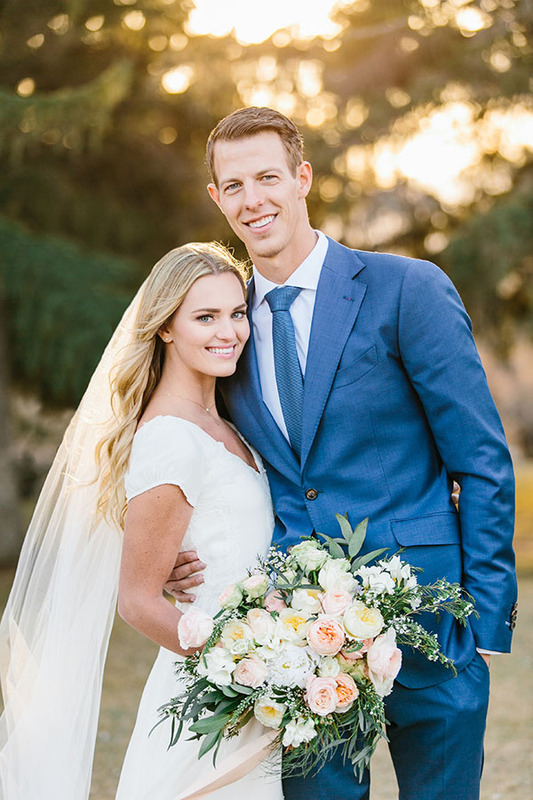 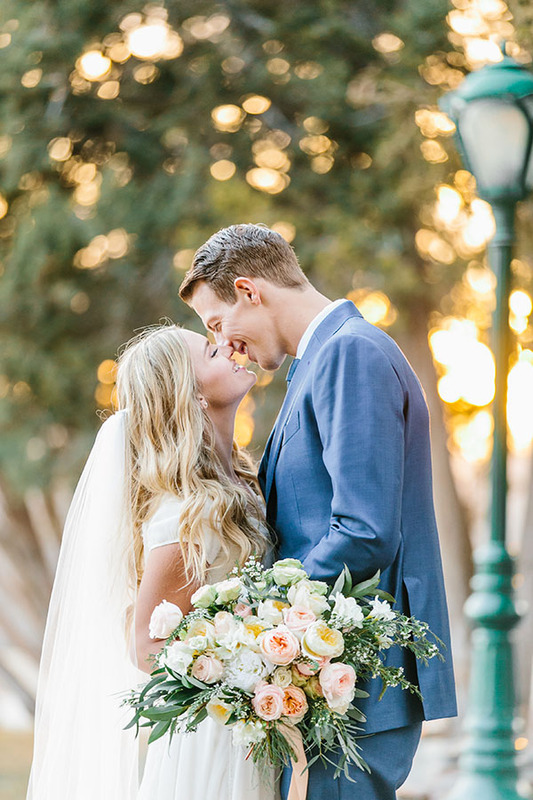 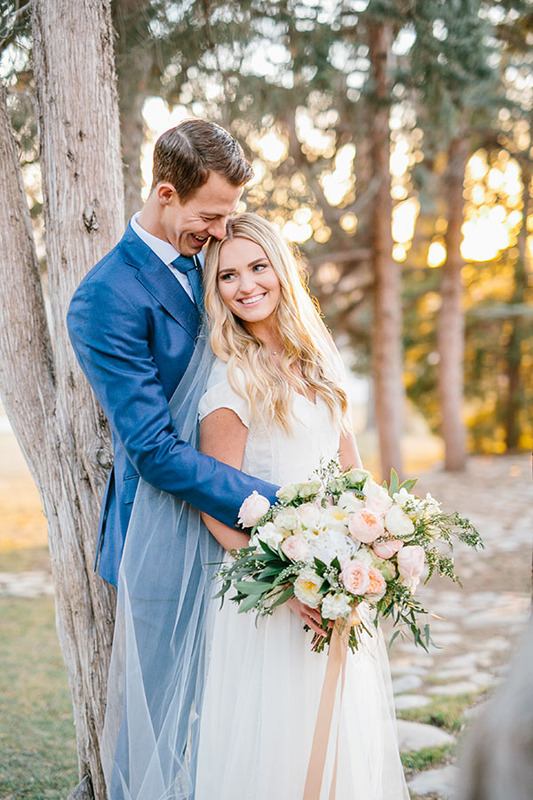 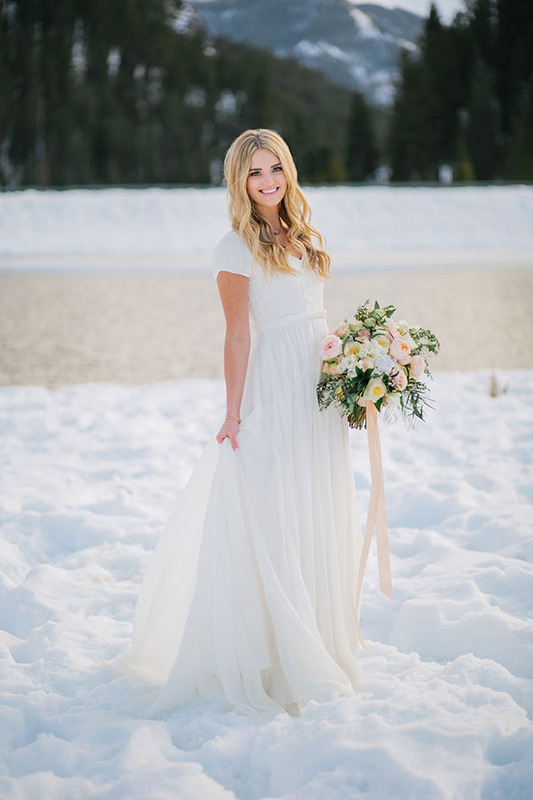 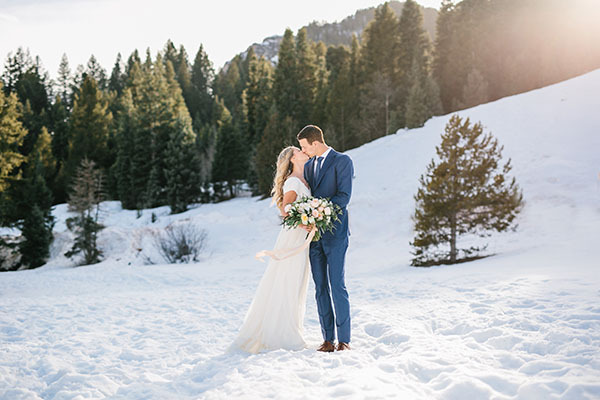 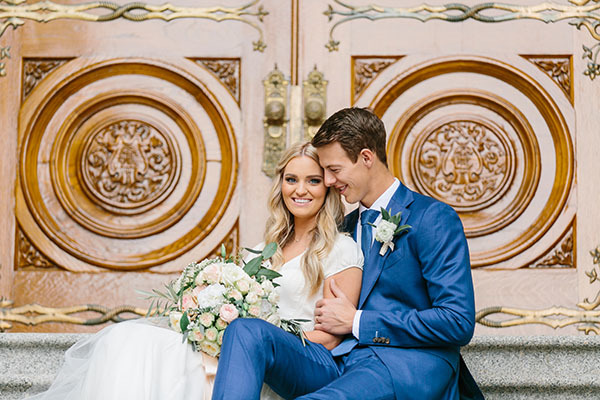 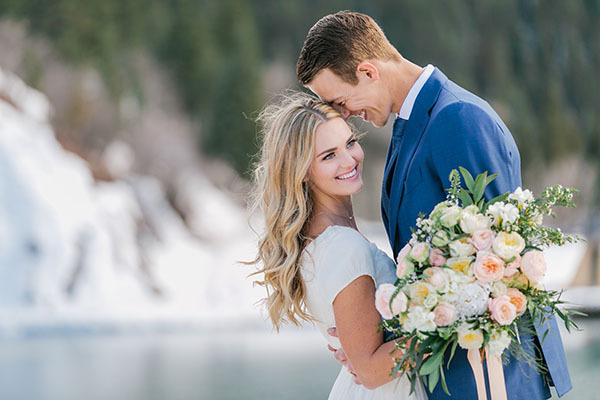 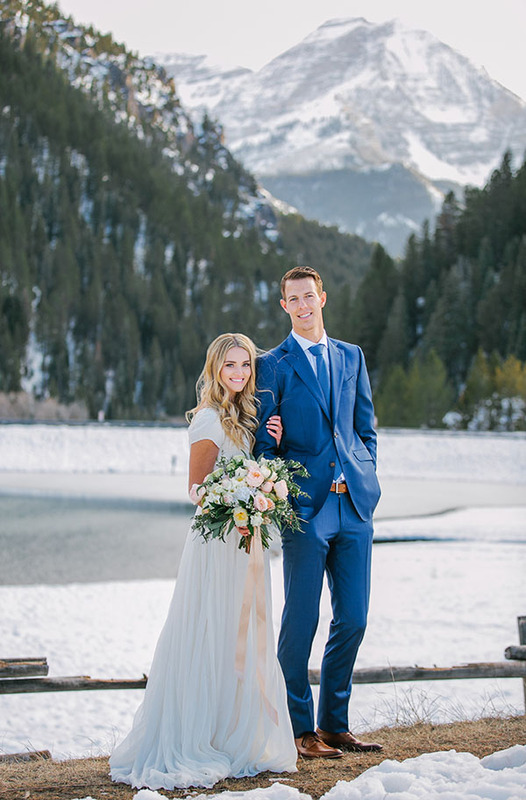 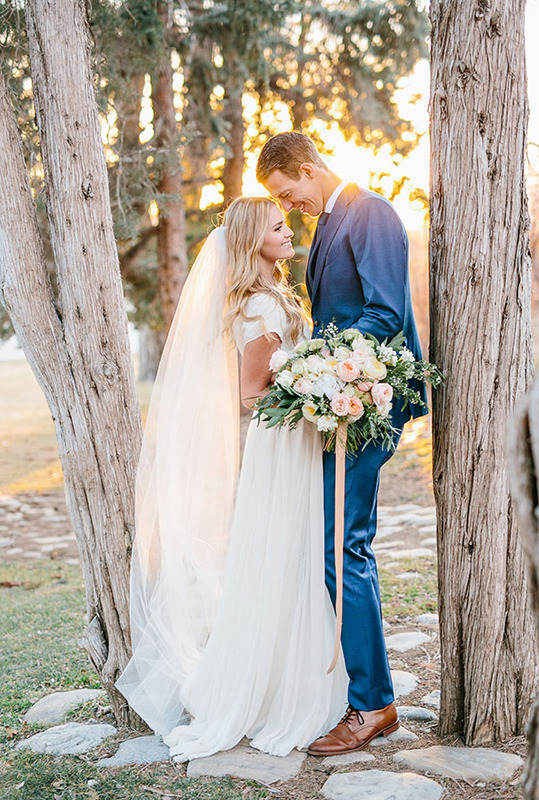 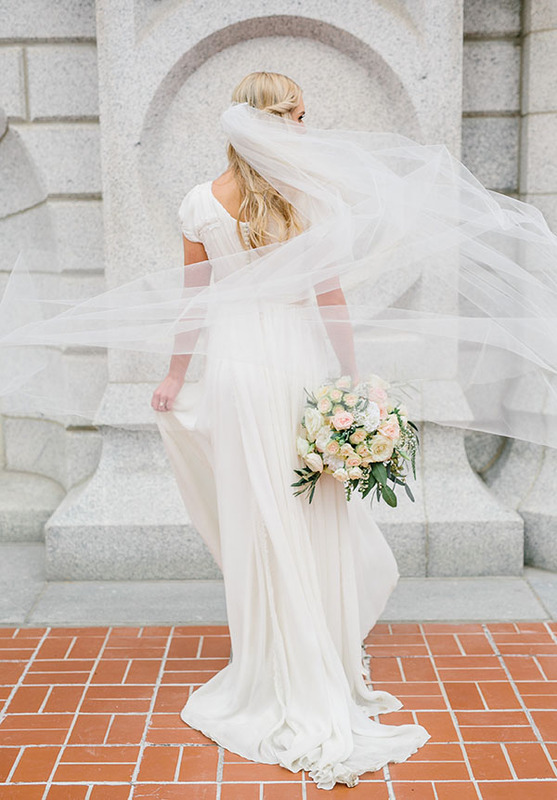 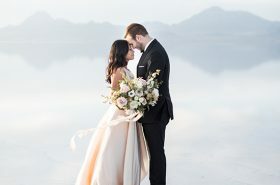 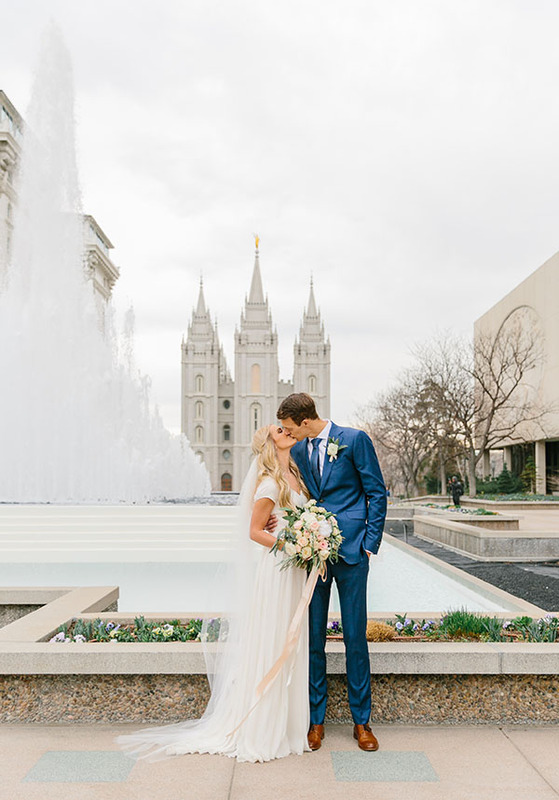 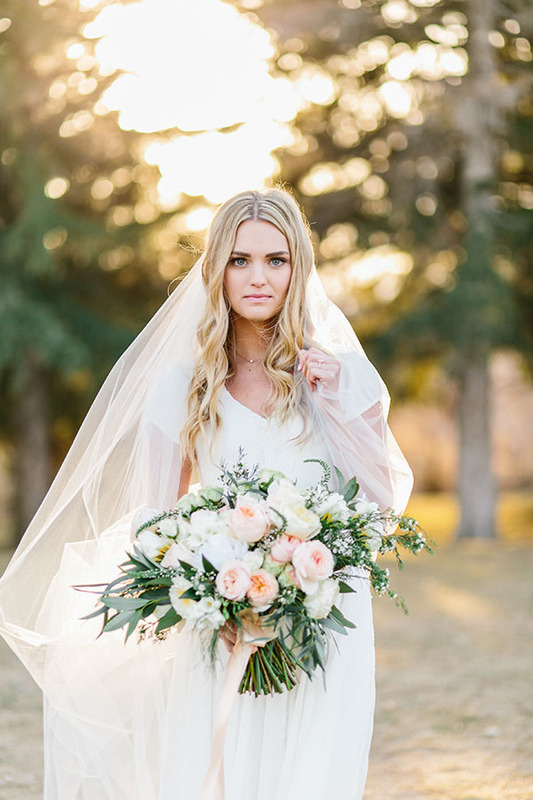 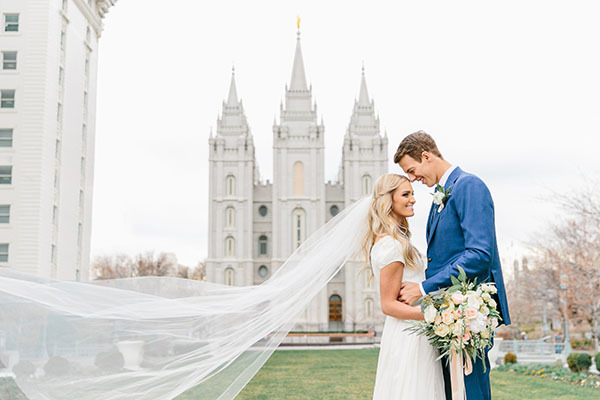 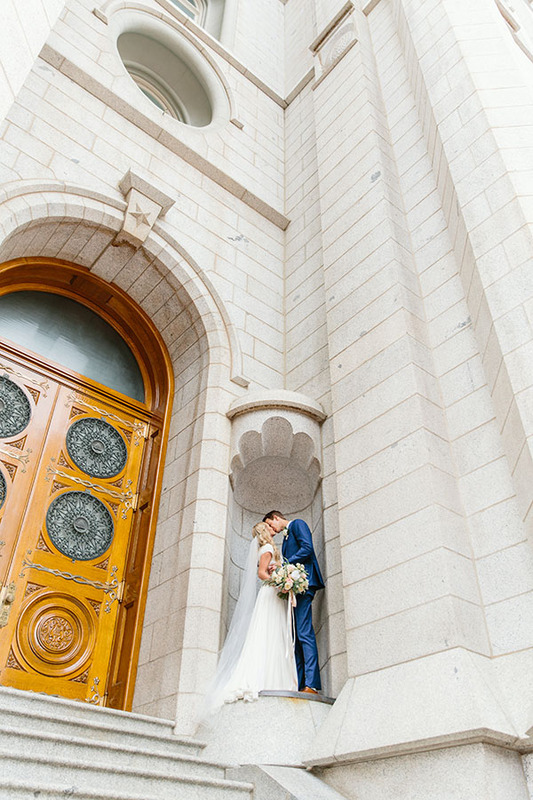 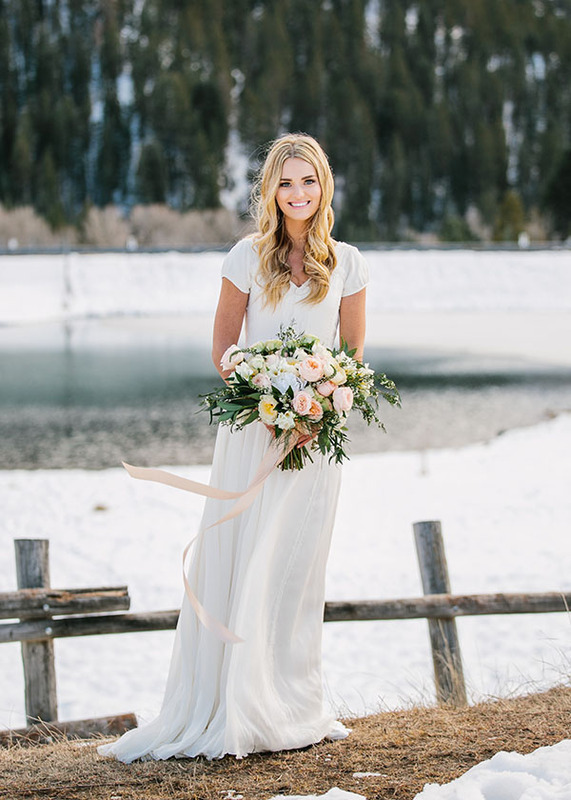 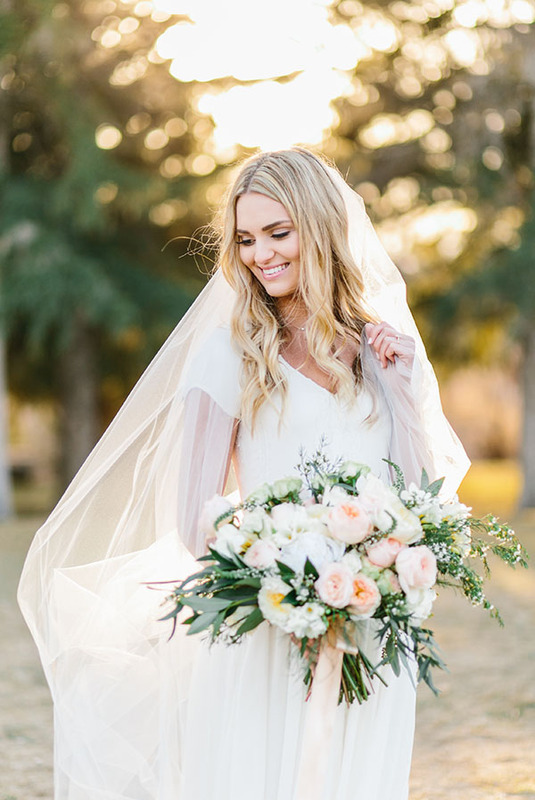 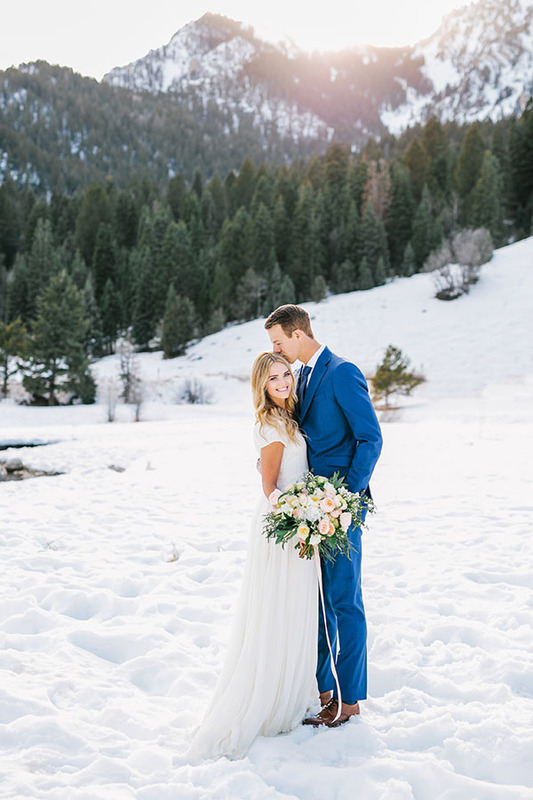 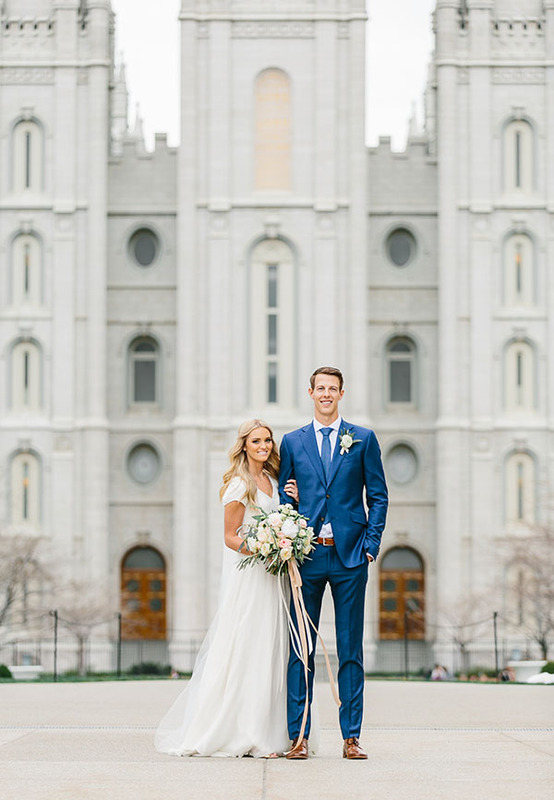 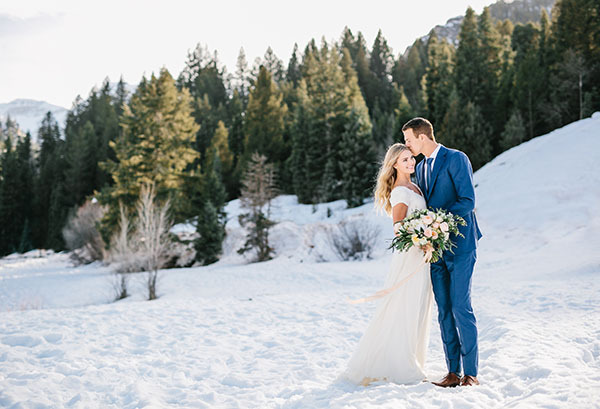 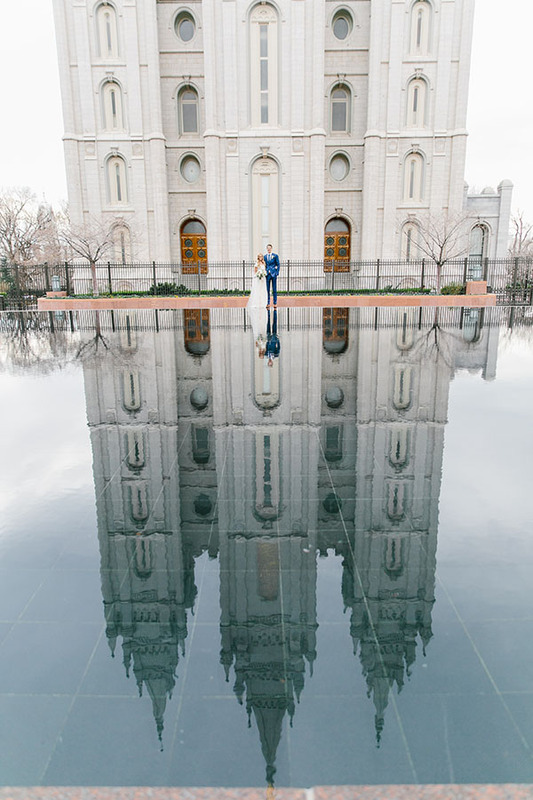 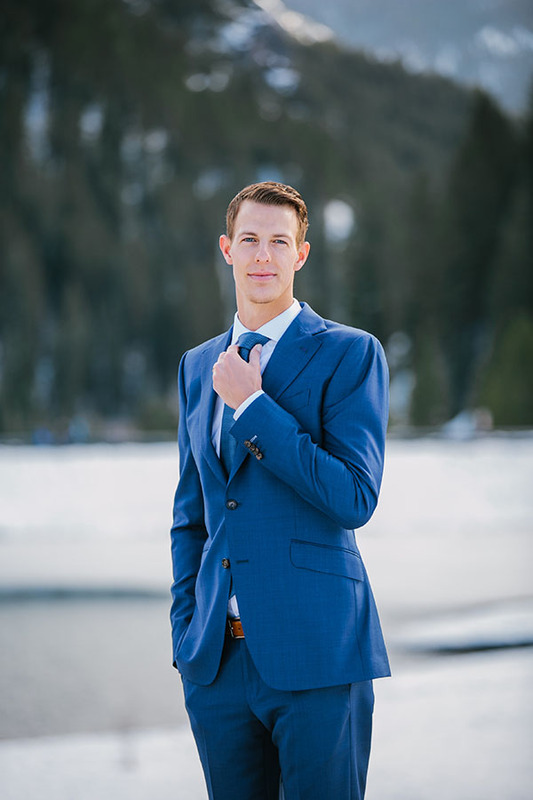 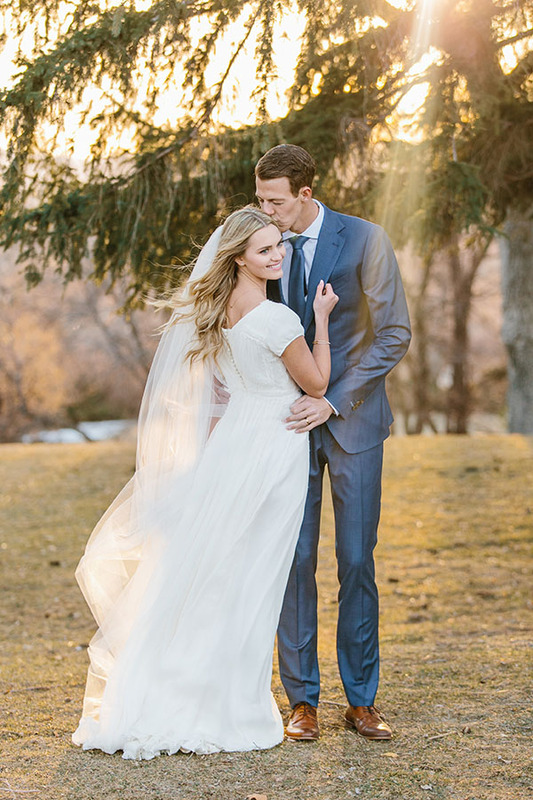 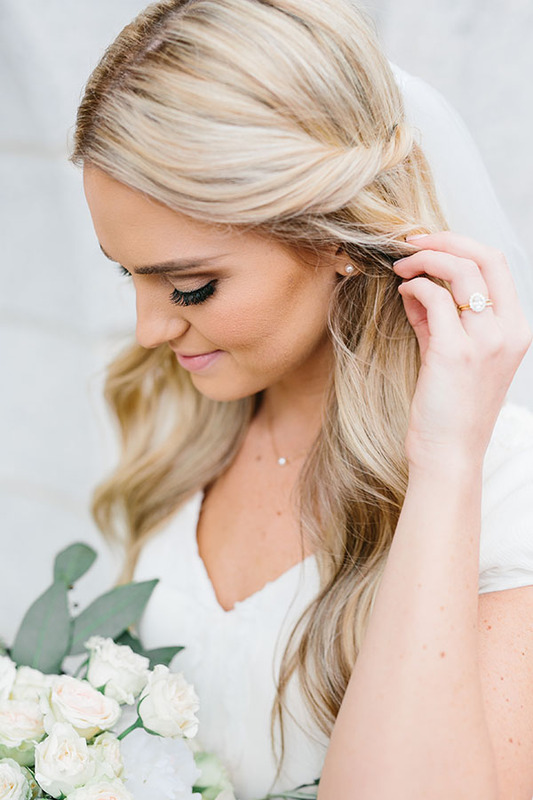 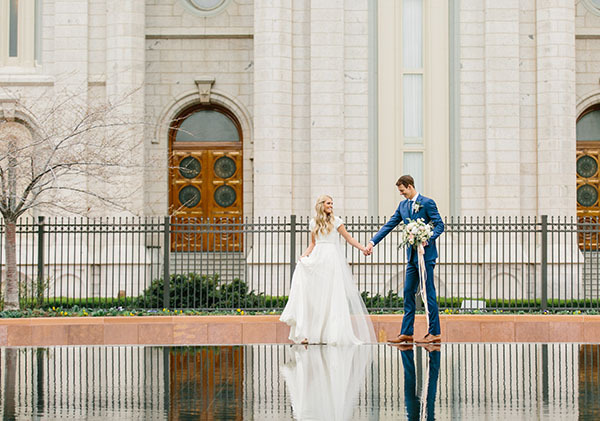 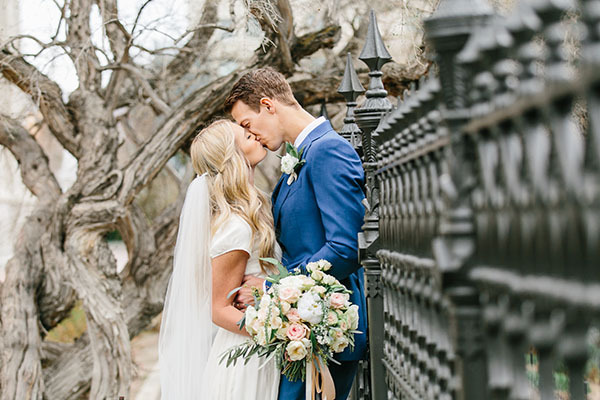 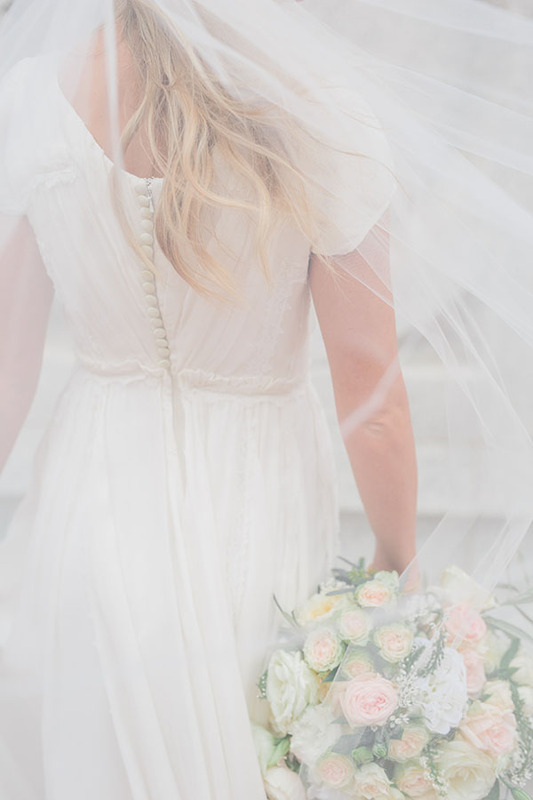 These gorgeous bridals have it all — golden light, snowy mountains and a stunning temple backdrop. 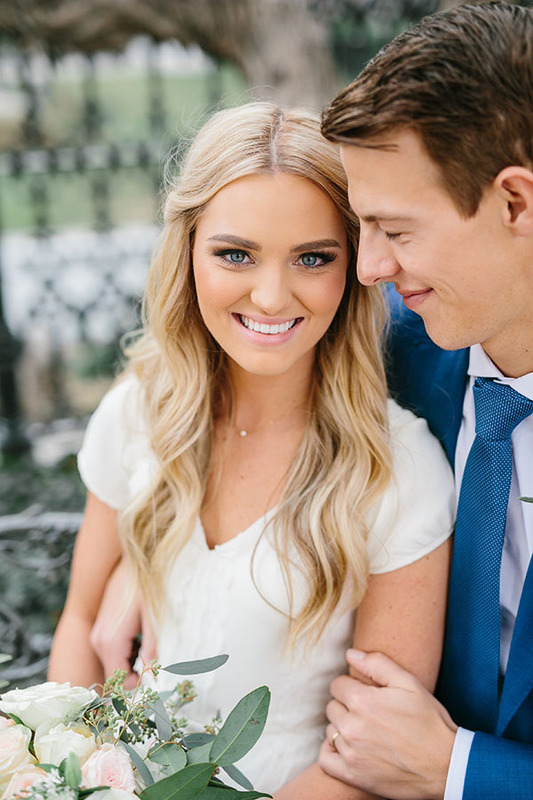 Not to mention these two lovebirds radiate happiness! 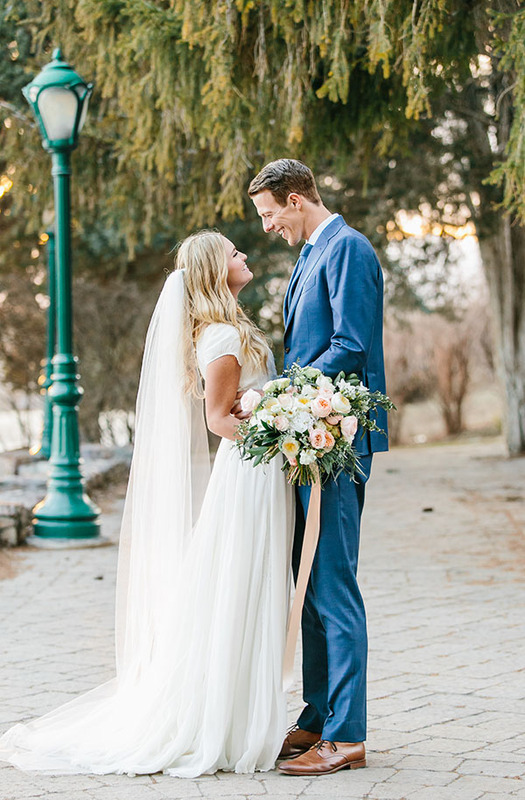 Seriously, love. 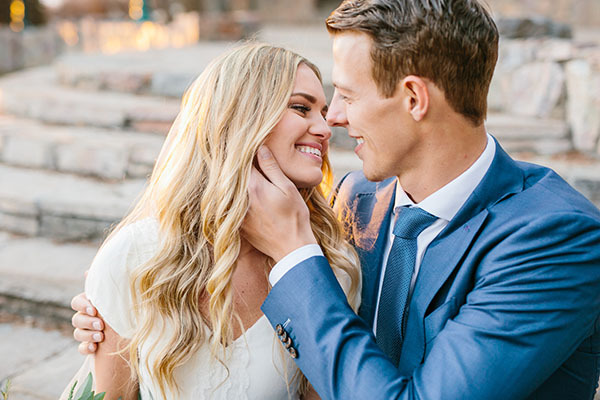 You charm us. 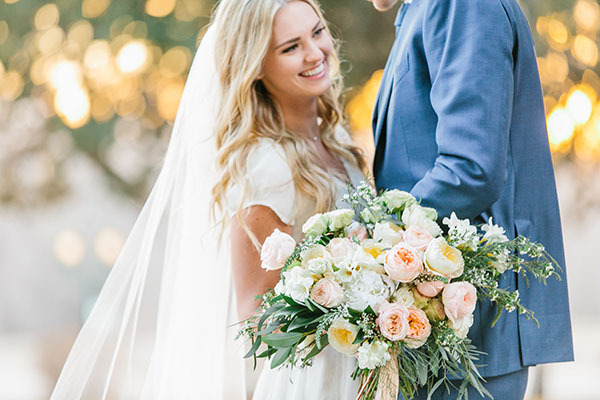 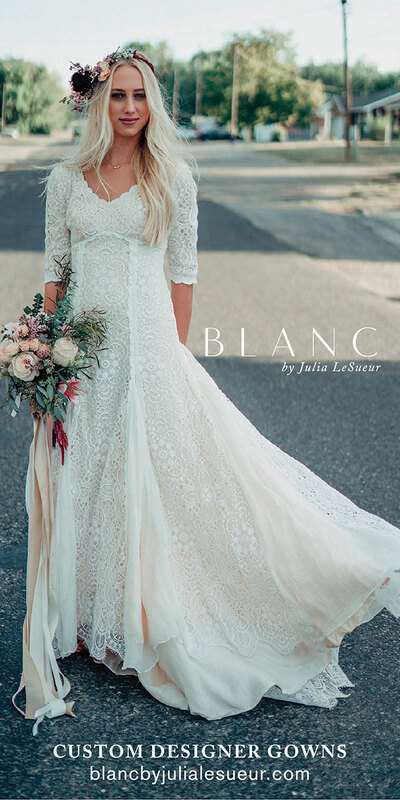 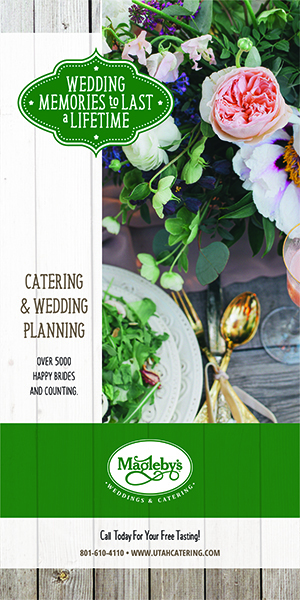 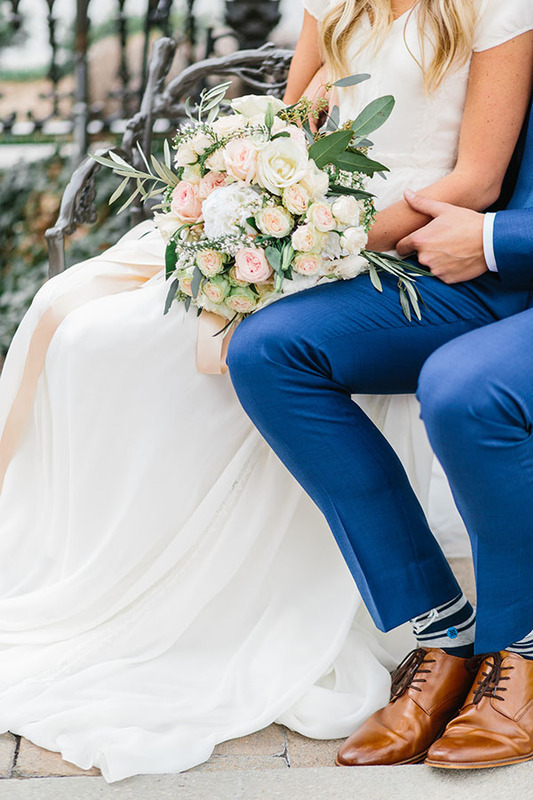 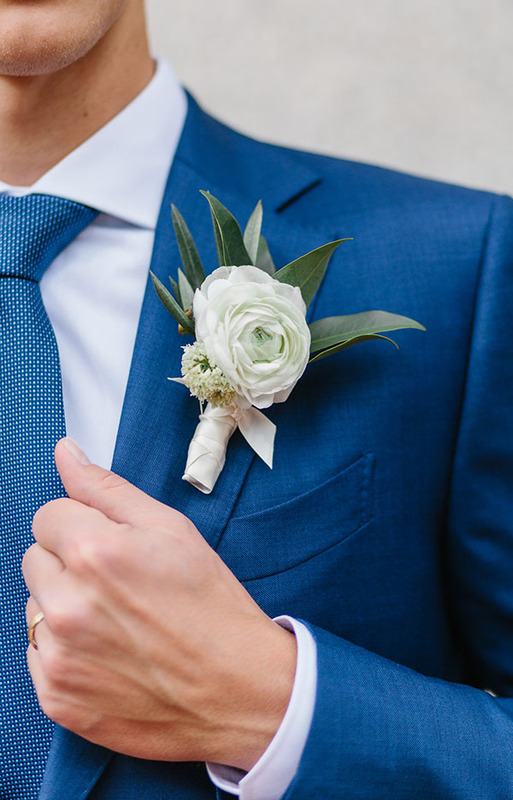 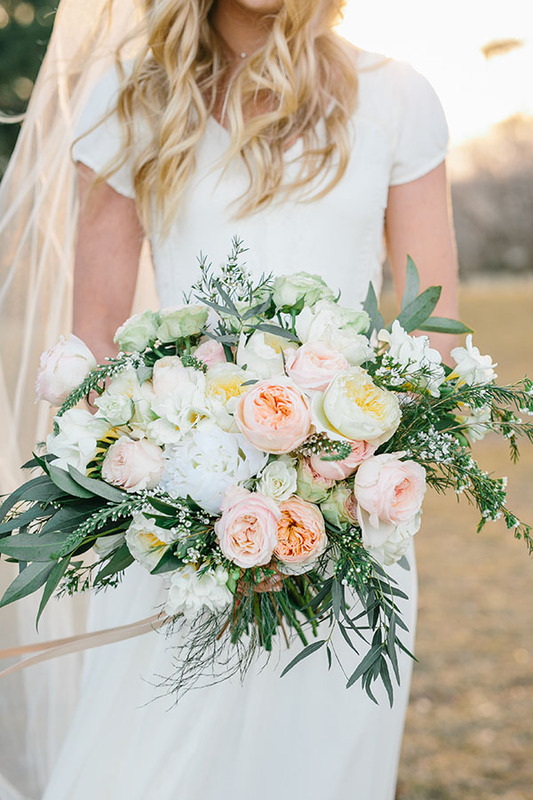 Now give your day a dose of happy and scroll through these effervescent images.